If you are a sneakerhead you are probably familiar with the struggle of trying to find room for your vast collection of shoes. Luckily for you, there is an inexpensive and safe way to store your collection with Affordable Family Storage. Whether your collection is 5,000 pairs strong or just 5, you can still only wear one pair at a time, so learning how to properly store your collection is key to ensuring that they keep their value. 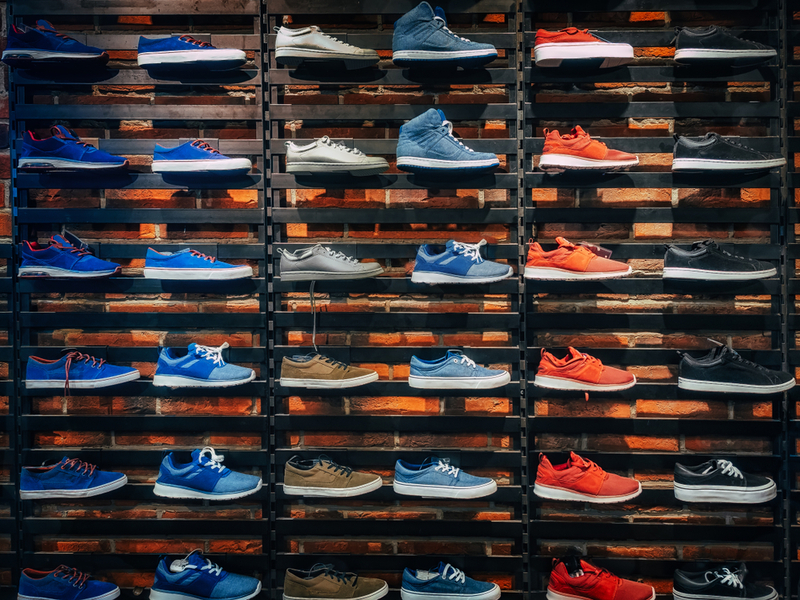 Learn more about what you need to do to ensure that your sneakers remain in mint condition in one of our climate-controlled storage units. There is a reason that sneaker companies ship their shoes in sneaker boxes. They are an inexpensive and effective means of protecting them when they are not in use. In addition, if you are a sneaker trader, having the original box increases the value of the shoe sometimes up to 10%. The only downside to storing your sneakers in the original box is that they are not very durable and can sometimes be difficult to stack high once your collection grows to a certain point. However, for the vast majority of us the sneaker box is the best option for protection. Putting your sneakers back into the box before putting them into your storage unit is a must even for the laziest sneakerheads. However, if you put them back after you wear them and do not clean them first, you can actually do more damage than without storing them. Whatever dirt and residue you picked up while wearing them will become more permanent if they are left on the sneaker while in your storage unit. A quick wipe down with a leather cleaner will save you the trouble of trying to clean a pair that has been sitting in your storage unit dirty for months. Trust us, a little preparation will save you a lot of work later. There is a reason that sneaker companies ship their sneakers with a paper or plastic insert in the shoe. With leather especially, gravity will slowly pull the shape of the shoe down, creating a flat look. The longer that your sneaker is not on your foot and is sitting in storage, the more of a risk that your shoe will lose that desired shape. Placing shoe inserts into your shoe saves you this trouble and can be done extremely inexpensively. If you do not have the original inserts you can use old newspaper to create a filler for the shoe before you place it into your storage unit. If you select a storage unit that does not offer environmental protection is just asking for your shoes to become damaged. Humidity will ravage a sneaker, ruining your collection forever. Better to be safe and choose a storage facility that offers climate-controlled storage units. Affordable Family Storage has the climate-controlled storage unit that you need for your collection. Contact us today to discuss storage options to ensure that you have the room you need to grow your sneaker collection.